On to bigger and better things. While doing this fun but slightly annoying nail art challenge, I've discovered I use a lot of glitter. Like every mani and soaking my nails every couple days in acetone gets old real quick... 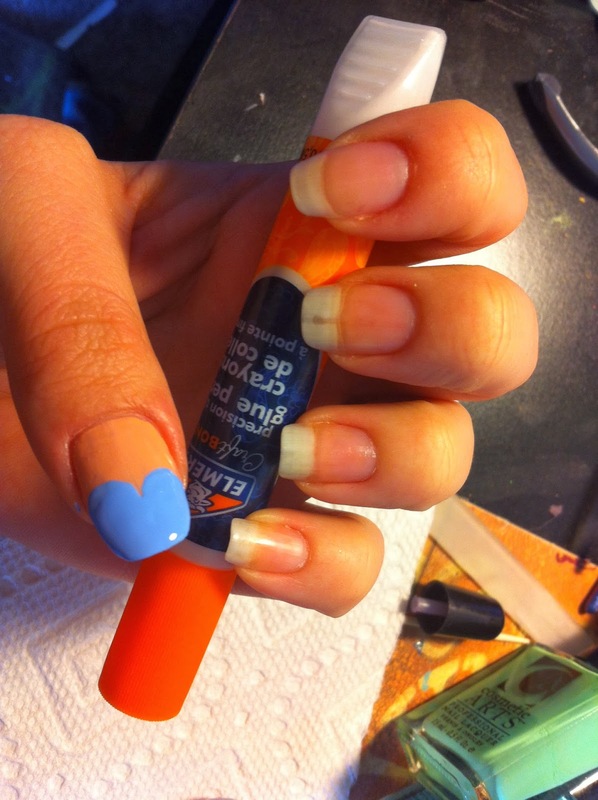 SO, I attempted the Elmer glue base coat. It was easy. I did use a base coat, my OPI nail envy, still!!! I have a pen style so I dabbed on dots and used a smallish paint brush to even out the coats, be careful to watch for pooling on the side of nail bed. 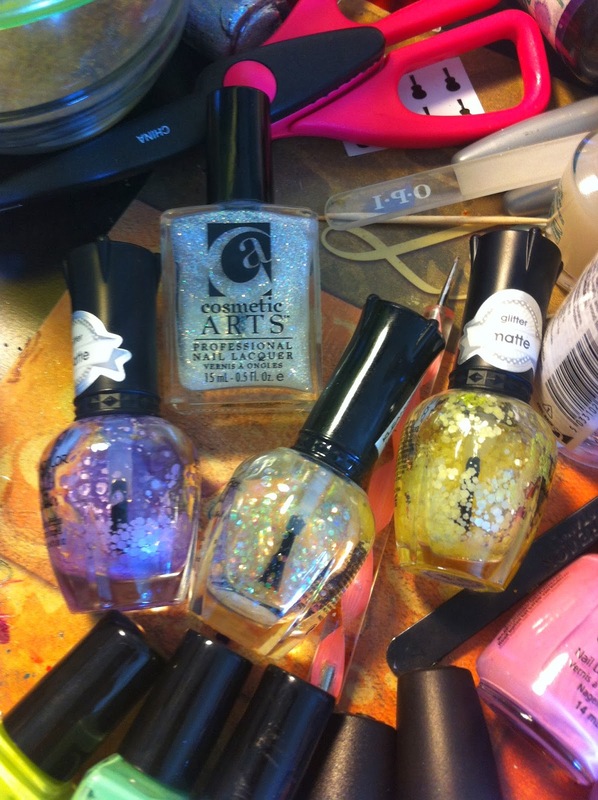 Here is what the dried product looked like: Almost can't even tell which nails I painted right? Perfect! Then I just painted them like normal, no problems. And you sincerely can't even tell that I used something as common as Elmer's glue. This part was even easier. I only wore them for a day but I had no issues or wear for that one day. And I was so impatient I had to see if it works. Plus, new mani in a couple days. I actually almost even forgot that I was wearing glue, lol! Final report! YES- why waste any money on a fancy peel off base coat? This is perfection. I cannot for the life of me remember who's blog I saw but I saw a few, there are a poop ton of tutorials, this wasn't meant to be one of them, just an awesome experienced shared!! !